Romantic love is the primary focus of most popular music, movies, books, and stories. I would go so far as to say romantic love is something of an idol in our society. Young adults feel unattractive and unloveable when it seems like all their friends have a significant other while they themselves are running solo. Wedding and baby shower invitations trickle into our lives with all the subtlety of an avalanche. Older people ask, “when are you getting married?” The incessant ticking of our biological clock grows louder… Again, there is this sense that if we are not married we are somehow lacking in value or attraction. Romance only lasts so long. Disappointment and discouragement rub the shine out of many relationships, leading to rampant divorce. Even in relationships where the love runs deep and strong, the harsh realities of life bring conflict and loneliness. (It is possible to be married and feel lonely!) Marriage is at its best when God’s love is the blueprint rather than romantic expectations. Romantic love is splendid, but its presence or absence does not determine our value. Romantic love is euphoric, but only lasts for a short time. Romantic love is beautiful, but it pales in comparison to the love of God. For the month of February, our Scripture Writing Plan will focus on the love of God because there is no greater love than His. As you write down these passages, take special note of how God loves us. I selected passages from the Old Testament as an example of God’s patient love for the Israelites. We may be loathe to admit it, but we are often like them—stubborn, foolish, and forgetful! In spite of our shortcomings, God has poured out an abundance of love on us through His Son, Jesus Christ. It is in that abundance that we ought to pour love on those around us. If this season has you feeling unattractive or unvalued, know that your value will never truly be found in fickle, short-term, romantic love. It is God who gives you value. It is God’s love that transforms you into something truly beautiful. Seek His love—it is lasting and powerful. The King of Kings listens to your prayers with the same attentiveness of a parent who loving kneels to their child’s level to hear their words. The Creator of the Universe put such value in you that He sent His own Son to earth to rescue your soul. No love on earth—however lovely—can compare to God’s everlasting love. My kids have been doing the scripture writing plans with me and I’ve learned a few things! For younger kids (like my seven-year old), one to two verses is more manageable for them to copy. If your child is younger or struggles with writing, I suggest breaking the selections down into shorter passages. It has helped my youngest when I print verses for him to copy because he often loses his place in the text when he looks down to write and it frustrates him. Our printer recently ran out of toner, so I’ve been handing him my phone with the passage highlighted on YouVersion so he can see exactly what to copy. As often as I can, I have him look up the passage in my physical bible so he gets the practice of finding Bible references. The Bible Gateway website makes it possible to print out passages for your children without manually typing them. Type the passage into the search function on their website, select your version, hit the search icon and it will bring up only the verse(s) you have designated. Select the print icon in the upper right corner and it removes all the ads and sidebars so you can print without using a lot of ink. If you have any trouble, shoot me a message through my Facebook page or comment below! I haven’t tried out their study. Is there a specific one that you like? I will check those out! There truly is no greater love! What a beautiful plan that you’ve laid out for the month, Elihu! ❤ and huge hugs to you! 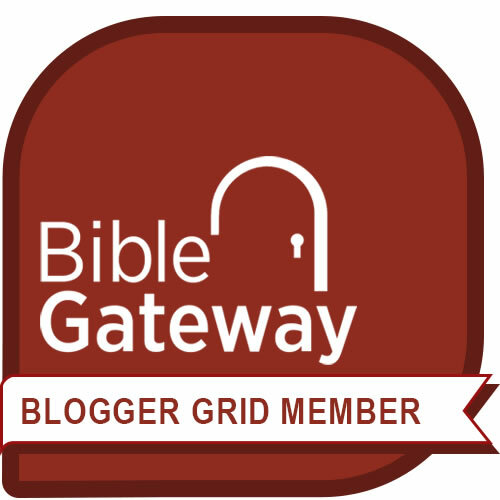 Elihu, thanks for providing this reading plan and letting us know about Bible Gateway! I use that resource often.